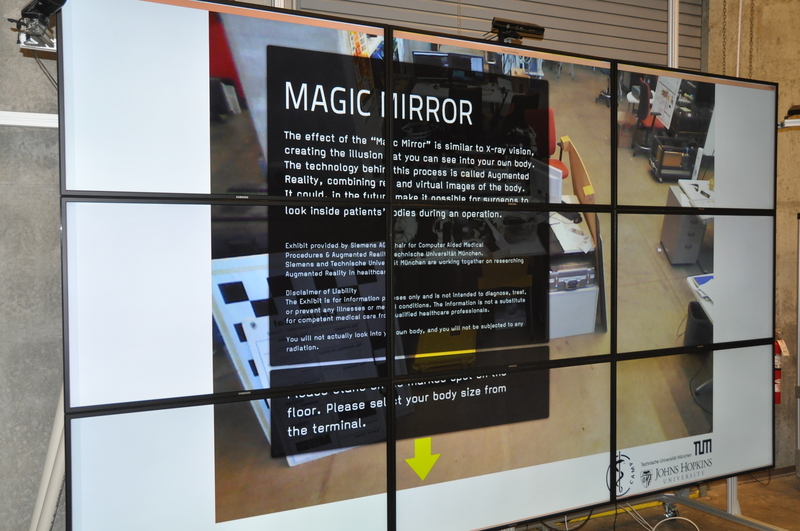 Mirracle is an AR magic mirror system for medical education and training, which uses Microsoft’s Kinect to track a user’s pose and augments medical information onto the user’s body. 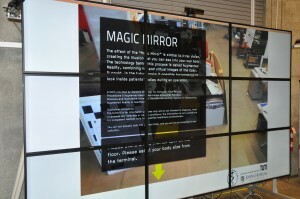 This system creates the illusion that the user is standing in front of a big mirror and could see into his/her own body. 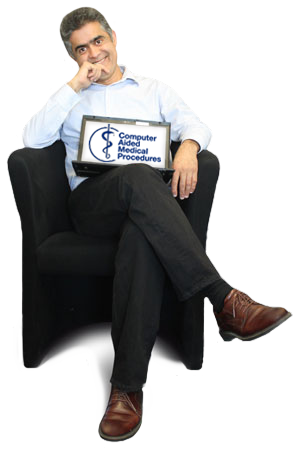 Our system could be used for medical and healthcare education and Augmented Reality rehabilitation. 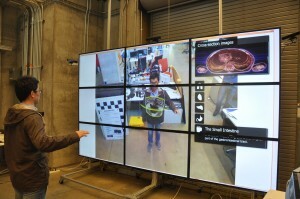 The Balaur Display Wall is a high resolution, 25 megapixel display system intended for research in multi-user gestural interaction with extremely large imagery and datasets. The Balaur Wall is currently installed on the campus of Johns Hopkins University in the new Brody Learning Commons building. It introduces so many possibilities for Mirralce to use Balaur Diaplay Wall as display device. The aim of this project is to create a multi-user immersive Augmented Reality system and research how to improve users’ AR experience.